Over the past 18 months, T-Mobile has rolled out seven different campaigns under its Uncarrier messaging that aggressively targets competitors by debunking the wireless industry in hopes of gaining market share. The wireless carrier claims that it has added 22.5 million subscribers in the past year and a half, making it the fastest-growing network out of the "big four" (Sprint, T-Mobile, AT&T and Verizon). Still, T-Mobile remains the smallest carrier and went through a failed merger with Sprint earlier this year. But with charismatic CEO John Legere, a big focus on word-of-mouth marketing and a series of over-the-top events, T-Mobile plans to run with Uncarrier as long as possible. 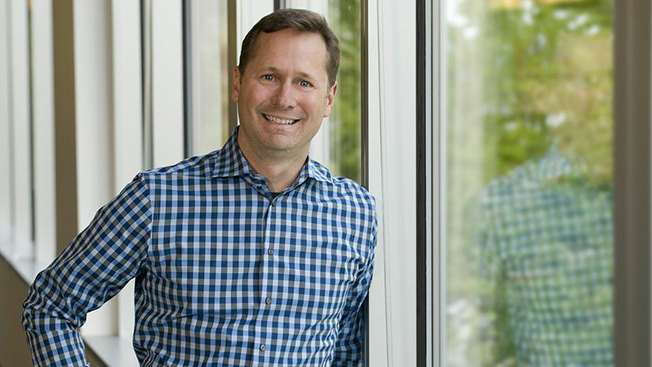 Adweek recently sat down with CMO Mike Sievert to talk about how Uncarrier has evolved, what’s next and why millennials are key to the campaign's traction. What's the strategy behind Uncarrier? We started with Uncarrier 1 and this concept called Simple Choice. The reason we call it that [is because] it's all about bringing real transparency and simplicity to the industry. Our view was [that] Simple Choice was a complete redefinition of how pricing is done in the industry, and it's here forever. We're seven major moves into this—each one of these is a structural change that tears down some rule in the industry, some restriction or some pain point that pisses customers off. These aren't promotions—these are structural solutions to pain points. People hate contracts [and] contracts are wrong, so we’ll stop contract freedom when every single American is free from their wireless contract and it’s a dead concept. It really says something about the brand that we're willing to take risks, make changes and always do them based on what customers say they really want. How has the messaging evolved over the seven different campaigns? What people see when they see our advertising is…a brand that stands for a celebration of change in a wireless industry that desperately needs change. It's upbeat, it's celebratory [and] it stands for changing wireless for the better. Each [campaign] brings a different move out—right now we're advertising Wi-Fi Unleashed, the idea that every T-Mobile phone comes with Wi-Fi calling and texting. What it all adds up to is each piece of advertising tells you about one of our Uncarrier moves, and hopefully you get that move and it motivates you. But if not—if you only squint at it and recall the different messages that have come over time—what you should learn is that T-Mobile is a company that stands for changing wireless for the better. But you're also the lowest-spending carrier out of the four major players, right? We're a distant No. 4 in advertising spend, and No. 1 in growth. The reason why our advertising is so effective is because we've got early adopters, digital-forward enthusiasts [and] millennials going for us because of everything else we're doing with digital, social and bloggers. When somebody looks at our advertising, they go, "Huh. That's interesting. I wonder if it's true." They go ask an early adopter—someone who is super tech-forward and reads all the blogs. The people who you're likely to ask when you see a TV commercial tell you it’s true, so you go buy it. What's the turnover like in creating campaigns? [We're] two moves ahead, for sure. Some of these things, like Wi-Fi Unleashed—the one we launched in September—is real technology we had to develop. We got the team started on that one over a year ago, [or about] 15 months ago. We're just looking at things that will excite and motivate people and listening to what they’re looking for. What else is coming up with Uncarrier?